That’s the lovely Sondra Ellingson acting up as we often do with the Chicago skyline. Drone Attack! At Design Engine, we dabble with vinyl wraps, as we have an on-staff graphic designer that needs to stay busy. 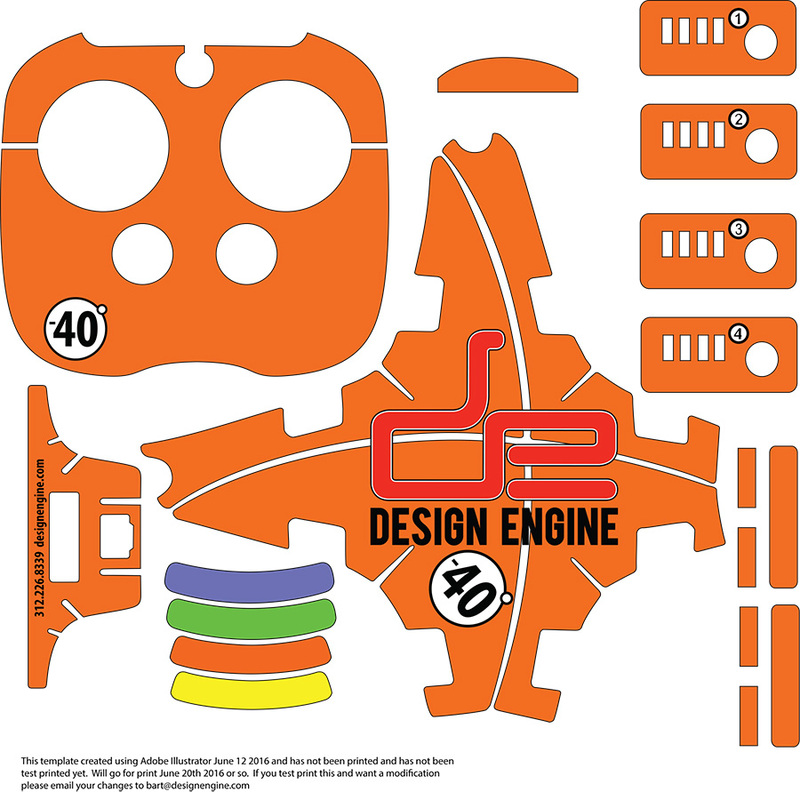 The Phantom Drone PDF line art template below was created June 2016 as we at Design Engine wrap everything including the Design Engine studio refrigerator, the coffee machine, coffee grinder, sportbike race motorcycles, race trailer, Motorcycle helmets, Ford F250 truck, Dell Laptops, Yamaha YZ450 motocross bikes, GoPro Cameras and the Phantom 3 drones. Compound surfaces (surfaces that change in two directions) are the hardest to wrap, but we have a great deal of practice since the motorcycle fairings have mostly compound surfaces. The Phantom 3 & Phantom 4 drone has compound surfaces. The above PDF is revised after doing a test print. There are many professional graphic design vinyl wrap companies. Often working magic compound surfaces can be difficult, color has to be perfect and the cut line needs to be right on point. 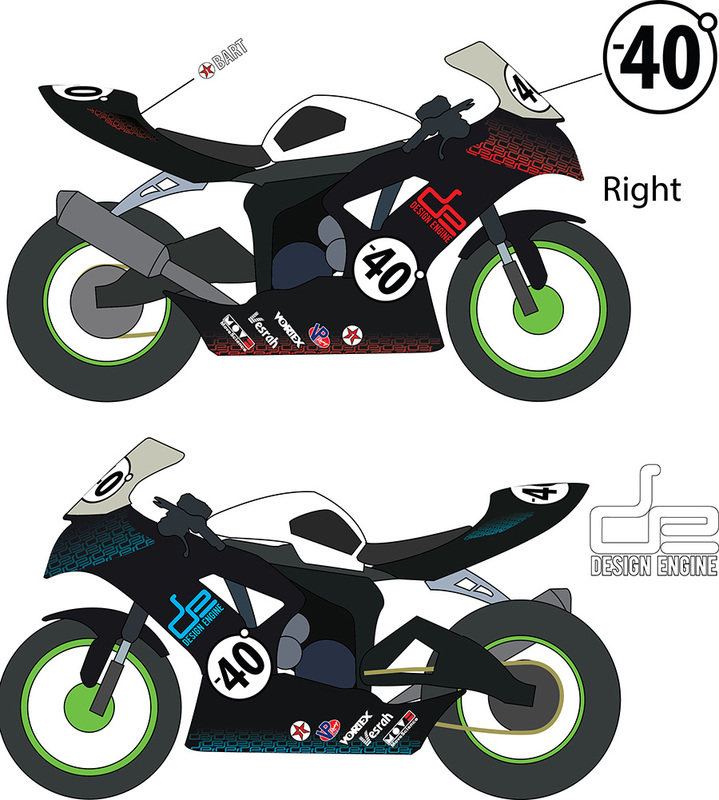 One company we have worked with in the past ‘Pop Shadow’ Decals http://www.popshadowdecals.com/ Pop Shadow will come to the motorcycle race track and obtain your flat pattern off the motorcycle as you order your design. Or Dripping Wet http://www.drippinwet.com/ The later who we have not had the opportunity to work with. Many have the flattened state or vinyl cut lines saved out from past jobs stored out in their library. If they don’t have the flattened state they will defiantly have process in place to capture that flat cut line. Bart took this photo of the GSXR 600 lower to show how much lean angle he was getting. Actually the lower doped and dragged on the race track to get that scrape but we will let Bart think he was scraping his lower. Swinging through Turn Five at Blackhawk Farms with my green rear wheel and new Bell Helmet. ready for print, screen shot out of Adobe Illustrator.